Michael Berry, MD, is a nationally respected Breast Surgical Oncologist and a national leader in breast care. 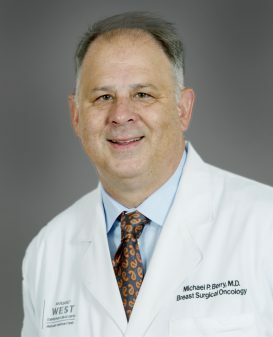 Dr. Michael Berry joined West Cancer Center’s Comprehensive Breast Center in 2011 after founding The Breast Clinic of Memphis over a decade ago. He was the first fellowship trained Breast Surgical Oncologist in the Mid-South. He is Board Certified by the American Board of Surgery and received his Fellowship of Breast Surgical Oncology at the University of Texas Southwestern Medical Center in Dallas. He received his surgical training at Texas A&M University. Dr. Berry is a fellow of the American College of Surgeons and the Society of Surgical Oncology. 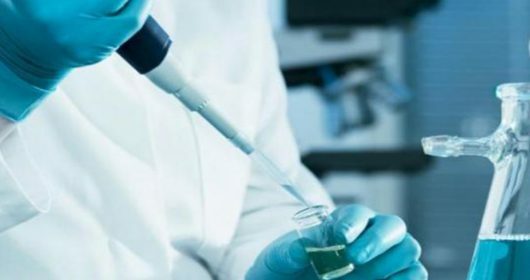 He is a member of the American College of Surgery Oncology Group, member and committee member of the American Society of Breast Surgeons and member of the American Society of Breast Diseases. He has served as a board member of the Mid-South Division of the American Cancer Society and has served as president and vice president of the Memphis Area Board of the American Cancer Society. He has served on the cancer committees of both the Methodist and Baptist Hospitals in Memphis, and serves as faculty for many programs offered through the American College of Surgeons, The American Society of Breast Surgeons and Moffitt Cancer Center. Dr. Berry completed his undergraduate education at Baylor University in Waco, TX. He received his medical degree from the University of Arkansas for Medical Sciences, College of Medicine, in Little Rock, Arkansas. He completed his education with his residency at Scott & White Memorial Hospital/Texas A&M College of Medicine, followed by a fellowship at the Susan G. Komen Breast Cancer Foundation/ University of Texas Southwestern Center for Breast Care. To view Dr. Berry’s most recent publications, click here.